The voucher is non-transferable and is only valid on purchase of groceries, fruits, vegetables, & bakery products, personal care, pet care, household prodcuts to be purchased from Homebethe.com. Sodexo vouchers will only be redeemable on Super Store orders. No change or cash can be taken in lieu of the coupons. Only meal coupons to be accepted only in case of Cash on Delivery. No online/wallet partial payment is acceptable using Coupons. Damaged coupon is not acceptable. Any refund against such coupon shall be in lieu of credit as Homebethe Cash, and shall in no event imply that the cashback shall be credited to a user's bank account or card account or refunded in cash at any time. This voucher to be reimbursed according to the terms & conditions of the Company. 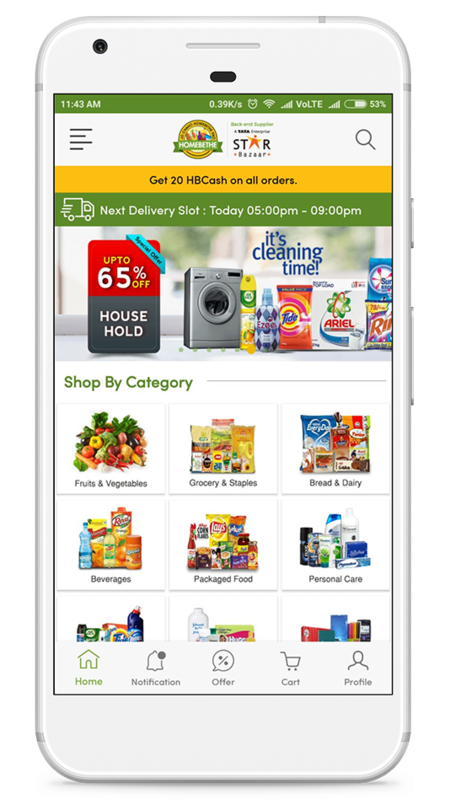 By using the Voucher, you hereby declare that it is used only for groceries, fruits, vegetables, & bakery products, personal care, pet care, household prodcuts to be purchased from Homebethe.